Sling Media, the Dish subsidiary you probably know for its Slingbox and Sling TV service, is announcing its SlingStudio hardware today. With this, Sling Media is entering a completely new market because unlike its previous offerings, which targeted consumers, the $999 SlingStudio is meant for video creators who want to produce live video streams for Facebook Live or YouTube. Typically, that’s not only expensive — with the hardware from competitors like TriCaster maker NewTek costing $5,000 or more — but also comes with a steep learning curve. The SlingStudio, on the other hand, is controlled via an iPad app. Using that app, a video producer can easily record, edit and monitor feeds from four HD video inputs. While you can connect a total of up to 10 cameras and smartphones (iOS and Android via Sling’s Capture app) to the box simultaneously, the editing software makes you focus on four feeds at a time for the live edit, which is typically enough for most setups. If you do have more than four cameras connected, though, it’s easy enough to switch those feeds in at any time (or play pre-recorded videos). 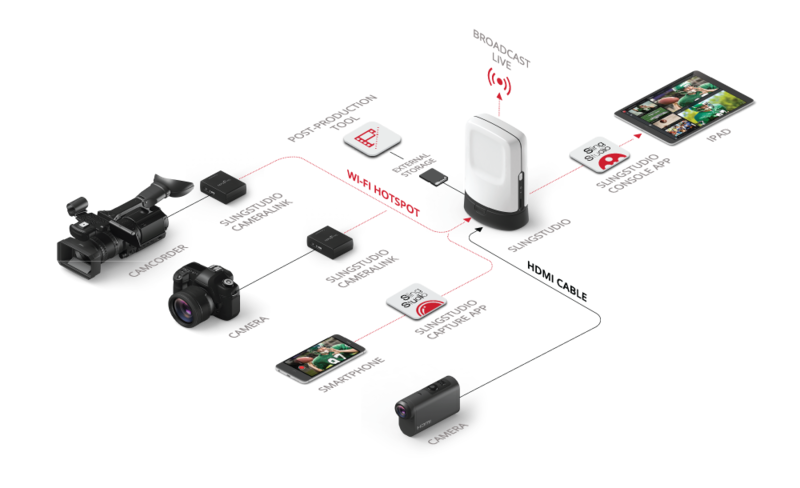 While you only need the SlingStudio hub and the app to get started (plus, of course, a few cameras with HDMI outputs), the company is also launching a couple of accessories that expand the hub’s functionality. These include a $149 battery for using the hub off the electricity grid and a $49 USB-C expander with an ethernet port and the ability to hook up USV drives for saving your recordings for later editing (by default, the SlingStudio records all individual camera feeds plus the live-switched video and audio for later editing in the likes of Adobe Premiere). Maybe the most interesting accessory is the CameraLink, though, which allows you to turn any camera with an HDMI output into a wireless camera for your setup. 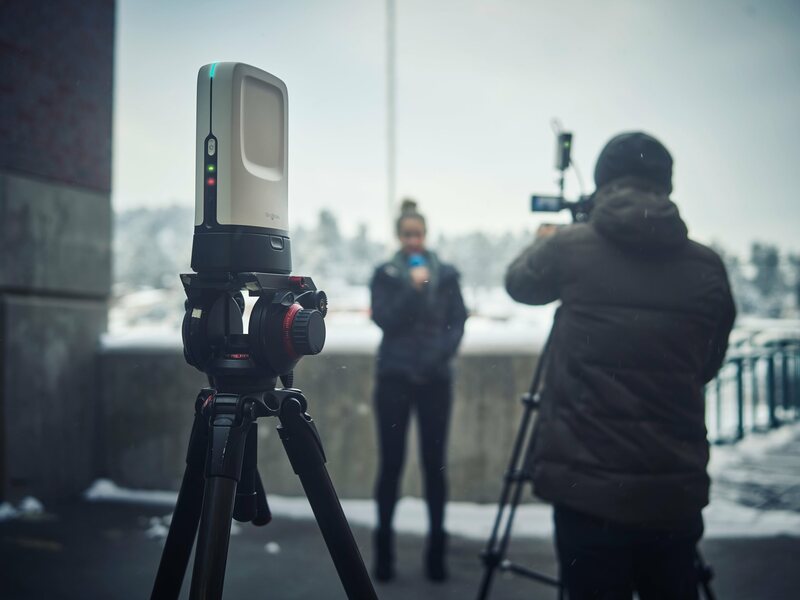 The CameraLink, which is powered by its own two-hour battery supply, creates a wireless connection to the hub, which allows the camera person to roam up to 300 feet from the hub. It’s worth noting that while the SlingStudio’s focus is clearly on broadcasting live, it can also be used to record all of the incoming streams for post-production. The SlingStudio and its accessories will go on sale in May at B&H and directly from Sling Media.